In order to be happy with your Cannabis crop all year round, you need to ensure that you have proper protection measures in place. Although simple, the means of storage are extremely important, and will make sure that you enjoy a good yield of excellent quality dried Marijuana. 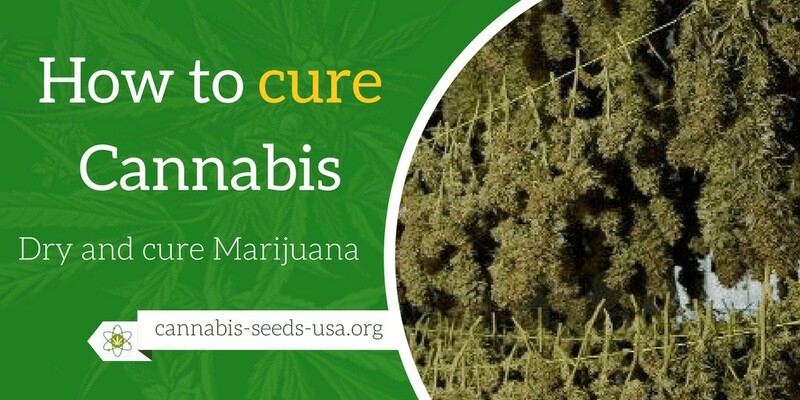 In this guide we will show you how to cure cannabis. If you´ve had a successful harvest, you will need more space for storage than a section in a cupboard, or one drawer in your bedroom. Looking after your harvest properly will ensure that you have some good quality Cannabis for the whole year to come. Besides the fact that you will have a whole year’s supply of your preferred strain of Cannabis, you will also have the peace of mind that you stash has not been sprayed with insecticides or pesticides. Your seeds that you have kept for the following year won’t be damaged, and you will have proper hands-on control to prevent mildew, mold and other contaminants. What you put into body will be what you have grown yourself, so you won’t have to be concerned about whether you are smoking contaminated stuff. There is also those that believe that the Cannabis grow stronger while it is in storage. Whether that is true is not clear, but it could well be. 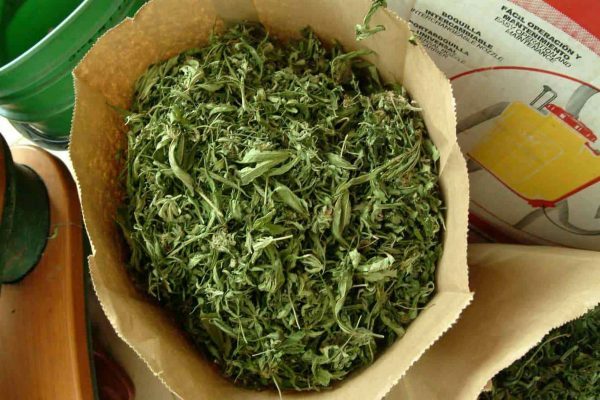 Knowing how to prepare, dry and cure your own Cannabis has great advantages. Learning how to do that now will definitely pay off later, when you reap the benefits of not having to worry about crops getting contaminated, etc. For example: not drying the crops properly will almost definitely end up in you having to discard an entire harvest because of mildew. Drying is the most common method to prepare your crop for storage, and there are several key factors that have to be taken into consideration. The most common method is simply to uproot the plant and hang it upside down until it has almost no more moisture in it. Contrary to popular belief, the reason for hanging the plants upside down, is not to allow the THC to spread from the roots to the rest of the plant. It is done purely for convenience. It is easier to hang them like that, which is also the reason why tobacco plants are still being hung upside down today. A cord is tied around the stem directly underneath the lowest branch. It is tied tight enough not to allow it to slip past the roots. The plants are also hung upside down in order to allow them to expire faster. Tobacco plants are also hung (cured) for that reason, since the tobacco would be extremely harsh and unpleasant to smoke if it was dried quickly in an artificial manner. When a plant is uprooted, it goes into a “survival mode”, causing it to metabolize in a different way, resulting into the accumulation of simple plant sugars and less bitter chlorophyll, and causing a more aromatic and sweeter smelling plant. These phenomena, caused by the curing process, resulting in the Marijuana being palatable, with a pleasant fragrance and a gentleness on the lungs. The Cannabis is also stronger, and experts maintain that the curing process renders a stronger plant by coaxing maximum THC levels into the harvested plant. Air-drying is the best drying method for leaves as well as for complete plants, since by air-drying you can preserve the maximum pleasant aroma and spicy taste of the Cannabis. To air-dry loose leaves after pruning or trimming, it is best to place them into airy cloth sacks so that the air can freely circulate among the leaves. You can also place the leaves in absorbing paper bags, folding the tops of the bags over several times, thereby sealing them. Remember to frequently shake the bags to keep the leaves separate from each other. The moisture will dissipate into the paper bags and then through the paper to the outside. Another method that is sometimes used is to loosely place the leaves into mesh bags, such as the bags that onions are placed in. They can conveniently be kept aside for your drying purposes after the original contents (fruit or vegies) were taken from them. This is a favorite method among people who dry small amounts of Cannabis for their own use. When drying your own stash using any of the above methods, it is not necessary drying your Cannabis to the point of being crunchy. Many people prefer their leaves not to be crunchy or brittle. They should be just moist enough not to crumble, and just dry enough to burn easily and evenly. This produces a sweet smoke when leaves or bud is chopped fine with scissors. Note that air-drying is the only safe way to dry buds from which you intend to harvest seeds. When you need to dry Cannabis in a hurry, for example to prepare samples for testing/tasting, microwaving is ideal. The leaves can be placed into heavy based coffee mugs and microwaved on high for approximately 1 minute. Samples of about eight ounces are ideal to microwave in one batch. Larger batches needs to be divided into smaller batches and then microwaved one batch at a time. Ideally these little batches should be placed into paper bags which are folded over at the top to seal them. As with air-drying, the taste will remain best if the leaves are left slightly moist. Note that buds that contain seeds that are intended for sowing next year’s crop should never be microwaved, since the microwaves will kill the seeds, and they will not grow. Cannabis can also be dried using your usual kitchen convection oven. Spread the buds/leaves evenly onto a flat baking pan. Make sure that the pan is NOT greased. Dry at a temperature NOT HIGHER THAN 150 degrees F, and make sure that you turn the crops over every fifteen minutes. Do not over-dry the Cannabis since, once again, the taste will be better if the plants are slightly moist. It is also better not to over-dry, since excessive heat will reduce potency. One again, note that buds that contain seeds that are intended for sowing next year’s crop should never be microwaved, since the microwaves will kill the seeds, and they will not grow. This can be done using a skillet held over a campfire, with the leaves inside the skillet. Make sure that only embers are left over from the campfire so as to prevent the leaves from catching fire because the skillet is too hot. Do not hold the skillet too close to the embers, for the same reason. You may also use a skillet holding it over a propane camp stove in a remote cabin or in a standard household kitchen. 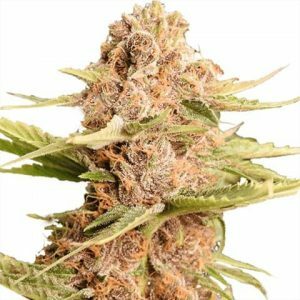 If you would like to sample the fruit of your labor sooner than later, fast- buds id the ideal methods to be able to do so… especially if this your starter crop and you have run out of stash. You can fast-cure your buds, retaining the maximum flavor and potency as possible, using the microwave oven, but not if you want to keep the seeds to grow the following year. If you have to a microwave to dry damp cannabis, remove all seeds first to keep them from dying, or exploding and causing serious damage to equipment. And never microwave for longer than one minute at a time. Probably the best method is to snip off the buds that you want fast-cure, and place them in an airlock bag, sealed with all of the air squeezed out. Knead the buds from outside the bag, making them warm to “activate” the THC contained inside the buds. Even standing on the bag full of buds with your bare feet works well doing this. Squeeze the bud until they are wet with their own juices and slightly warm. They need to be a very dark green by then. No damage will be done to the seeds by doing this. Leave the sealed bag overnight under your pillow to keep the contents warm. After about twelve hours, I remove the warm, crushed buds from their plastic bag and lay them neatly—with air space between them—on a dry, clean cookie sheet. Next morning, preheat your kitchen oven to the lowest setting (somewhere between 150 and 180 degrees F). The Cannabis would have formed a “cookie sheet” inside the bag. Take it out and place it in the oven for about half an hour, after which you then take it out of oven and turn it over, then place it back into the oven for another half hour. The buds should now be slightly moist and sticky, ideal for smoking. The seeds can now be gently removed because they shouldn’t be harmed at all. Now place the seedless buds into a coffee mug, and snip them up with a pair of scissors into little pieces that are ideal for smoking. I hope you learned something to take with you during this reading session. If you have any questions, please do not hesitate to contact us.